This designer bathroom suite collection is the latest in Italian bathroom design. 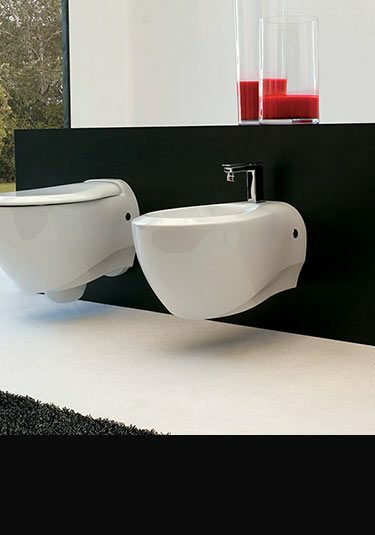 We can supply stylish wall hung toilets and back to wall toilets, both with soft closing toilet seats, we also have beautiful wall mounted wash basins, pedestal sinks plus impressive freestanding basins and matching bidets. This contemporary bathroom suite is the interior designer choice with its luxury styling and superb European quality. All designer bathroom suites are supplied with a 5 year manufacturers guarantee. 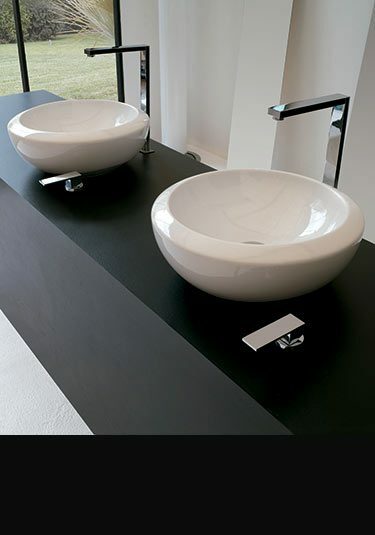 A beautifully contemporary round ceramic counter top basin, with a chunky rim is for counter top sink installation. Ideal for designer bathrooms. 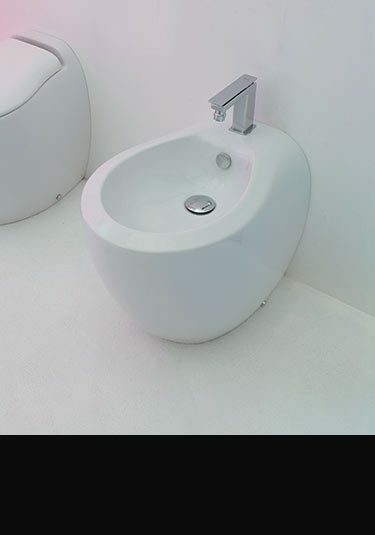 A unique designer wall hung basin that is Italian designed and manufactured in Italy. 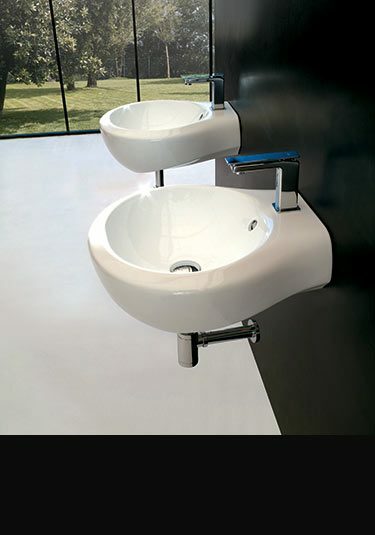 These wall hung wash basins are ideal in contemporary wall mounted bathrooms. 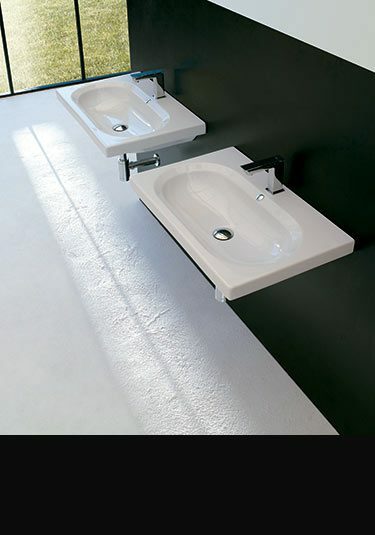 A designer rectangular wall mounted sink is available in 3 basin sizes to suit all size bathrooms. Top international design winner from Italy. This organic designed, freestanding sink is a top international design winner. Italian designed and made. A wall hung or counter top sink the Tear Drop is a great and popular design. Available in 2 sizes. 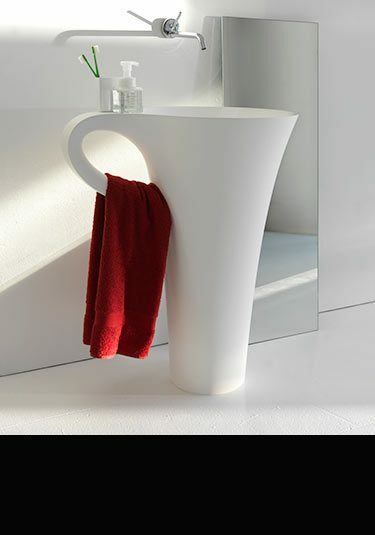 A wonderful and top designer freestanding washbasin has a handy towel hoop. This floor standing sink will always impress. 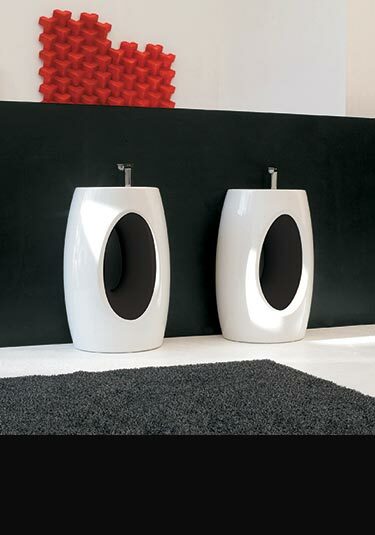 A stylish wall hung toilet that has won top international design awards is Italian designed and manufactured. 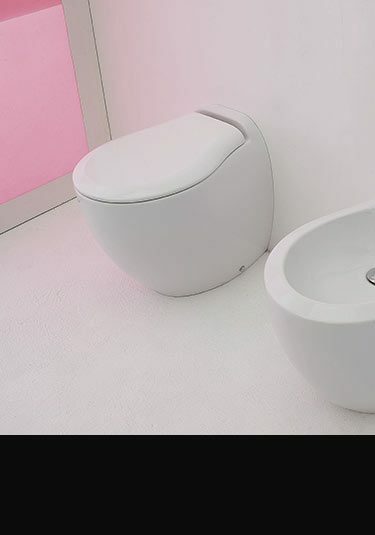 A beautifully designed back to wall toilet that is designed and made in Italy. Top international design winner. 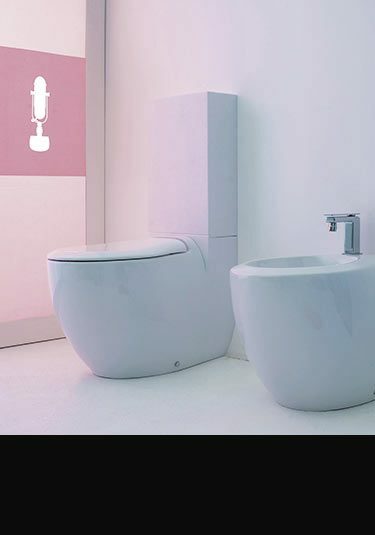 Designer Italian toilet with a back to wall cistern is a top international design award winner. 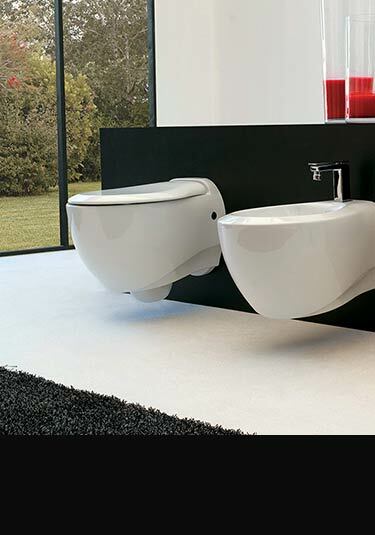 Designer Italian bidet for wall hanging is luxury quality and great design. 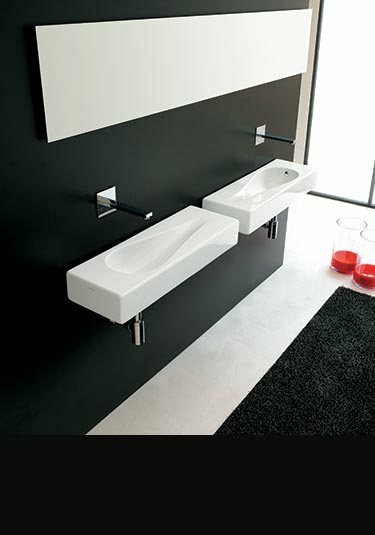 The very latest in contemporary bathroom design The Pure Collection is winner of top international awards for its creative design. Back to wall bidet dimensions W360mm x D520mm * Italian manufactured. * Italian design. * Top International design winner. * 2 year guarantee. * Includes mainland delivery. * Prices excludes Vat. A slimline toilet cistern with hanging frame for in-wall installation. 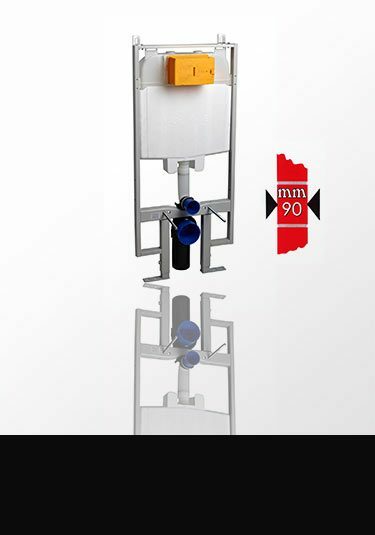 Designed for the safe hanging of wall hung toilets, each concealed cistern can be supplied with a choice of 24 high quality flush plate designs.